125. This lovely ranch condo in Jefferson Estates offers 2 bedrooms, 2 bathrooms, and maintenance-free living! 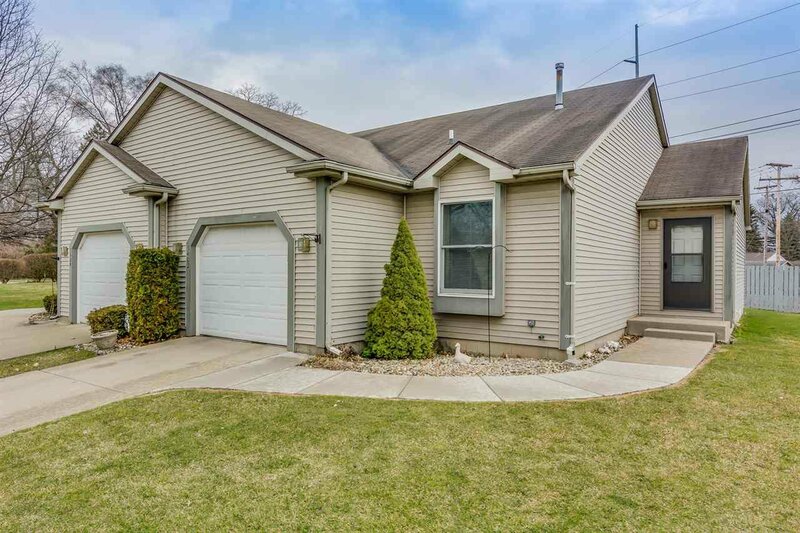 This central location is just minutes from Notre Dame, IUSB, downtown Mishawaka and South Bend. The open floor plan includes a vaulted ceiling throughout the living, kitchen, and dining areas. The living room includes carpet and a gas log fireplace. The kitchen features ceramic tile flooring, breakfast bar, and dining area with sliding door to the backyard/patio. Main level master suite includes a bath with tub/shower combo. The second bedroom has access to full bath with tub/shower. Laundry/mud room has stacked washer/dryer and access to 1-car garage. Basement is partially finished with a living room and has additional storage room. Call to schedule a showing today!